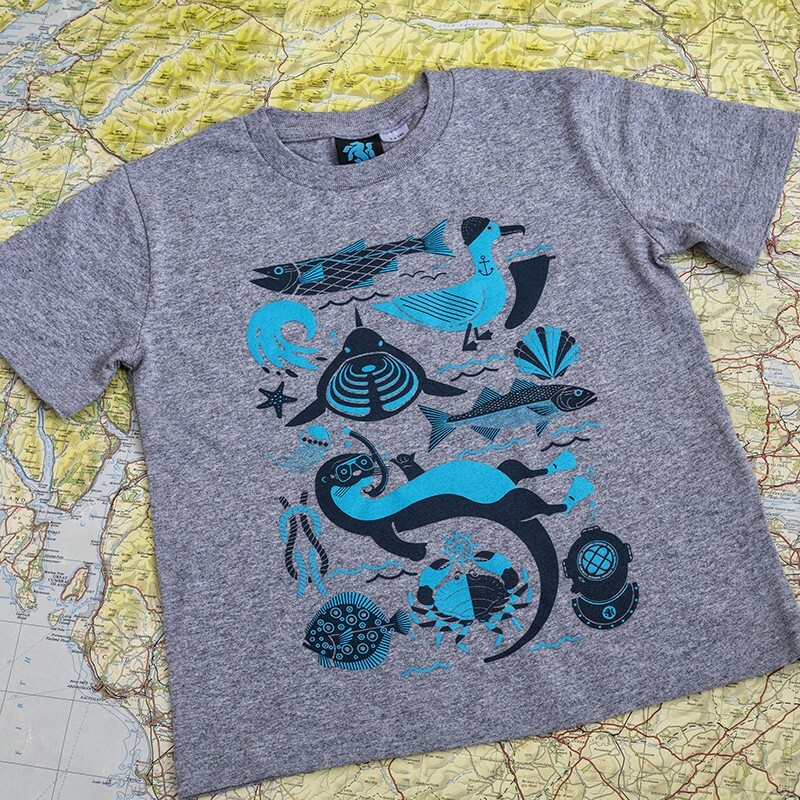 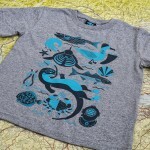 As a hot new season piece The Staunch Sealife T-Shirt for Kids comes in a easy grey colour way. 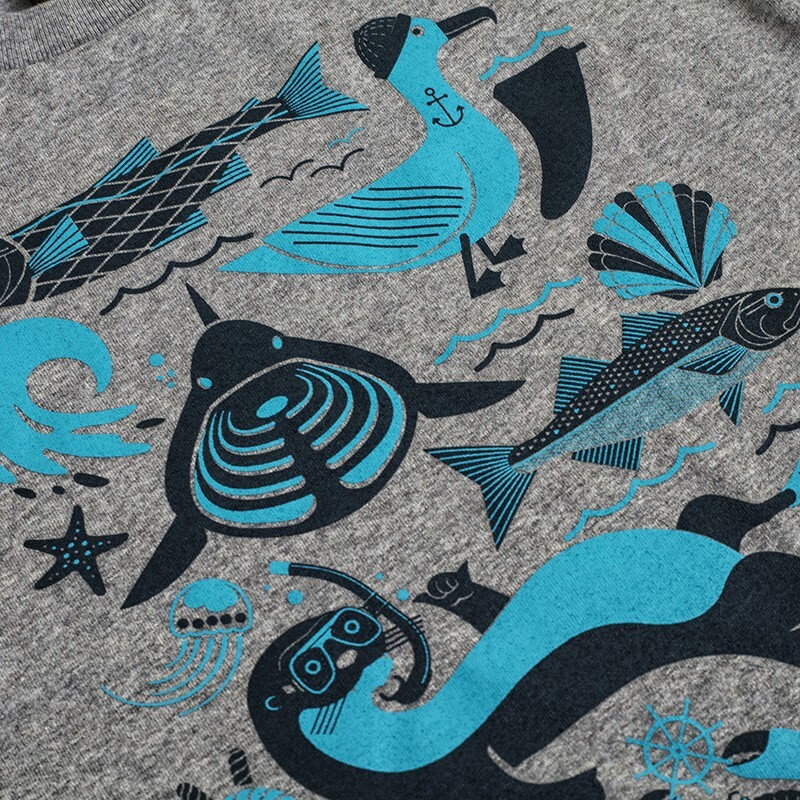 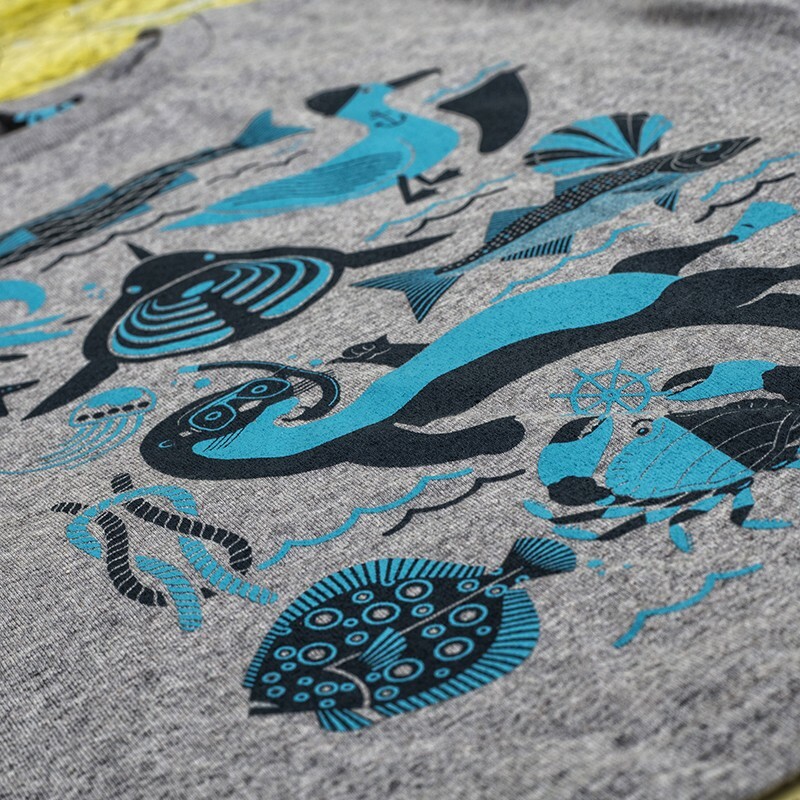 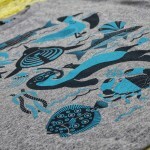 Screen printed and designed in all our favourite Sealife creatures and friends. 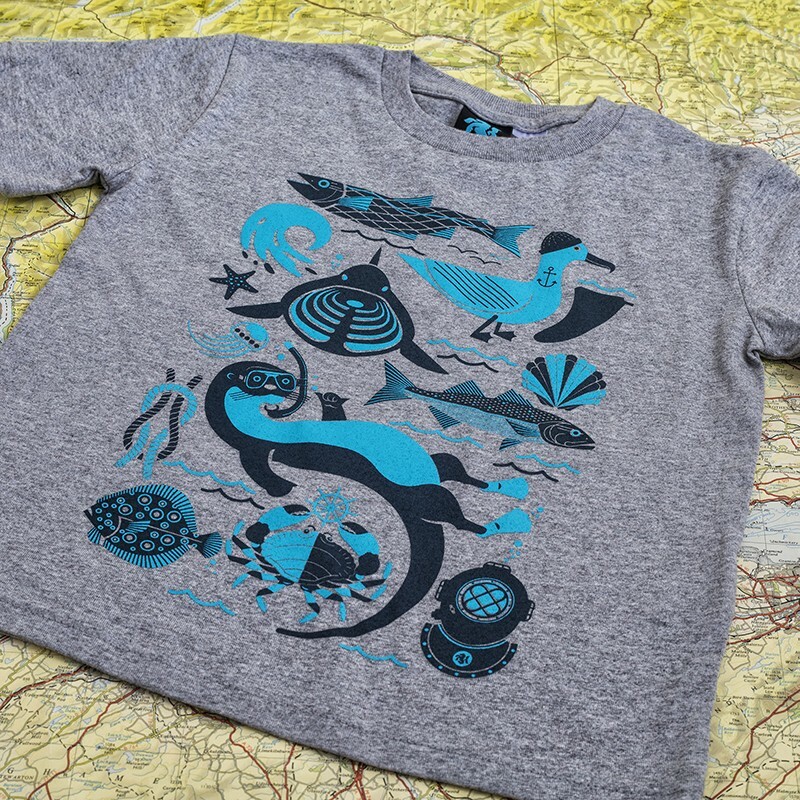 A design staple for us, and for you to wear and share available in adults and kids sizes.